Both Federal and Missouri law prohibit employers from discriminating against their employees and prospective employees based upon their race or color. There is a significant amount of overlap, but these two categories are not exactly the same. Color is understood as pigmentation or in other words, lightness versus darkness. Therefore, color discrimination can occur even among people of the same race or ethnicity. Under the Missouri Human Rights Act, it is an unlawful practice to refuse to hire or to discharge employees because they are of a particular race or color. Further, employers may not limit, segregate or classify an employee on the basis of race or color. Employers may not compensate employees differently, apply different terms or conditions of employment, or grant preferential treatment on the basis of race or color unless there is either a bona fide seniority or merit system in place. If you feel you have been discriminated against while at work, you may need a race discrimination lawyer. Racial discrimination can take place against an employee or even someone applying for a job. Race discrimination can happen to an employee if they are married to or spend time with someone of a specific race as well. If an employer makes a decision that affects any of the above based upon race, they may have violated the law. If you believe an employer has discriminated against you because of your race, you need to reach out to a race discrimination lawyer. With regards to race discrimination, there are two types of cases. There are disparate treatment/ Hostile work environment cases and disparate impact cases. Disparate treatment cases involve an employee being the subject of intended discrimination due to his or her race. 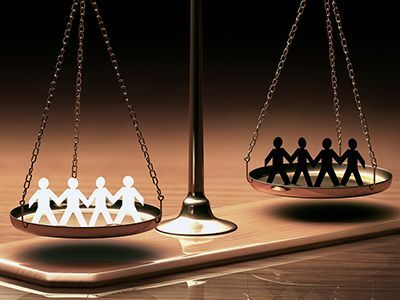 Disparate impact cases involve an employee who feels discriminated against because of the employees policies that somehow negatively affect him or her because of race. If there is a case, the next step involves submitting a claim to the Equal Employment Opportunity Commission. This step is necessary, but can be quite daunting. If you have spoken with a lawyer and he or she believes you have a case, you will want to then hire a lawyer to help you with the submission and more. Hiring practices, intentional discrimination, and the ilk are not the only ways employers can discriminate. Harassment is also a big issue with regards to racial discrimination. A hostile work environment based upon race and manifested in racist comments can also be terms for a case. If you’re in need of a race discrimination lawyer in Kansas City, we hope you’ll contact us. Here at Paulus Law Firm, we strive to be the best race discrimination lawyers in Kansas City. If you are dealing with any issue involving potential race and discrimination in the workplace, please reach out today. We are here to help.